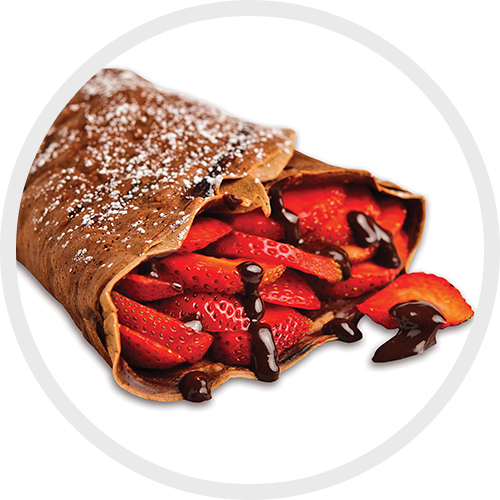 Our special chocolate crepe combines the freshness of sliced strawberries with the deliciousness of chocolate syrup. Looks delicious doesn’t it? It tastes even better.